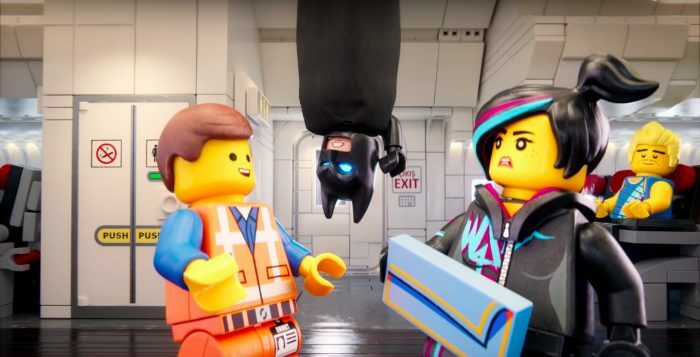 It’s taken five excruciatingly long years for parents across the globe to recover from the devastation that The Lego Movie’s theme song “Everybody’s Awesome” wreaked havoc upon the masses. Many lives were simultaneously ruined by the repetitious beat of that vexatious ballad. Just when you thought it was safe to write that final therapy check, the sequel arrives just in time to quickly turn your normally mundane daily pilgrimages to school into an overlong and equally obnoxious commercial for migraine medication. This is in no way whatsoever an indictment on the film. In fact, this is your official warning. The Lego Movie 2 reunites our heroes Emmet (Chris Pratt), Lucy (Elizabeth Banks), and friends in Bricksburg. Unfortunately, everything is not awesome as the city comes under constant attack by space aliens called Duplo. The Duplo destroy everything faster than it can be rebuilt. Deflated, the residents of Bricksburg give up rebuilding and rename the town Apocalypseburg. Ever-optimistic Emmett refuses to go down without a fight and assembles a ragtag team of misfits to find the aliens and save the planet. 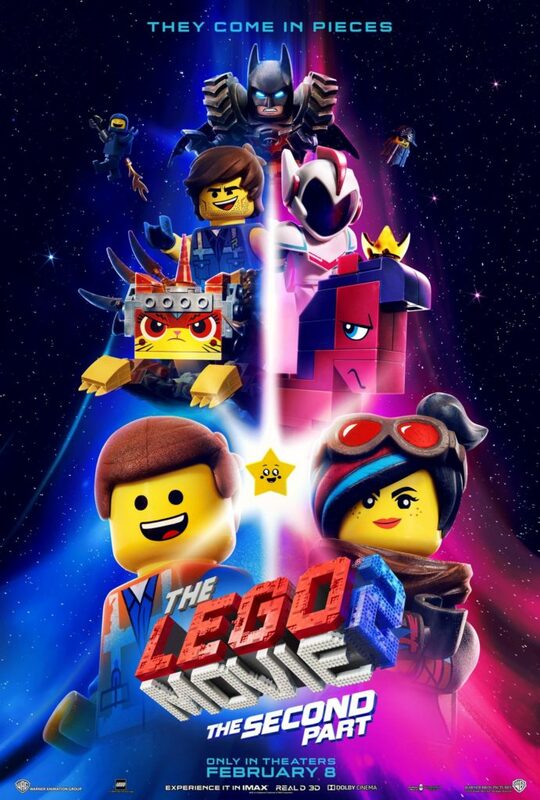 The Lego Movie 2 is one of those exceptionally rare gems that doesn’t subscribe to the standard sequel recipe of bigger necessarily being better. From Batman to Bruce Willis, from Gandalf to Green Lantern, the jokes come fast and furious. Blink and you will miss it. Oh, and parents, get ready to download “The Catchy Song” which shamelessly flaunts and taunts the lyrics “This song’s going to get stuck inside your head.” Thankfully, so will the film.